A clean responsive WordPress theme for different purposes. A theme without an overwelming number of options and shortcodes. A theme that works. 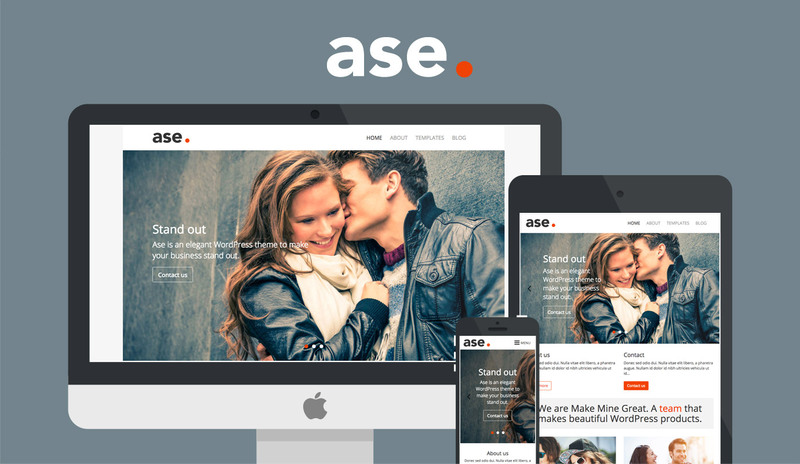 Ase is a powerful, clean responsive WordPress theme for all kind of business. A theme without an overwelming number of options and shortcodes. A WordPress theme that works. Besides that, Ase is the perfect starter theme for building more complex WordPress websites. Visibility option classes for WYSIWY editor. Use prefix for theme classes. 5.0 average based on 12 ratings.